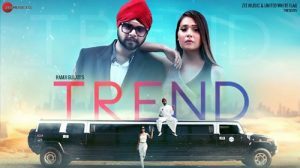 Presenting the new Punjabi song Trend Lyrics – Ramji Gulati. This song features Sara Khan and the music has been composed by Ramji Gulati. The lyrics of this song has been penned by Pahwa.